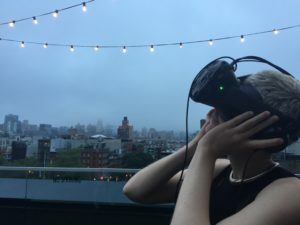 Join us with artists from the exhibition, Deniz Tortum and Christopher Manzione, to learn the basics of how to make immersive media art works. Participants are asked to bring their own laptops. This workshop is free and open to all. Below please find an outline for the workshop as well as documents with instructions for downloading free software for building augmented reality (AR) and virtual reality (VR) artworks. Ücretsiz yazılım linki, donanım hakkında bilgiler ve workshop öncesi laptopınıza indirmeniz gerekenler.